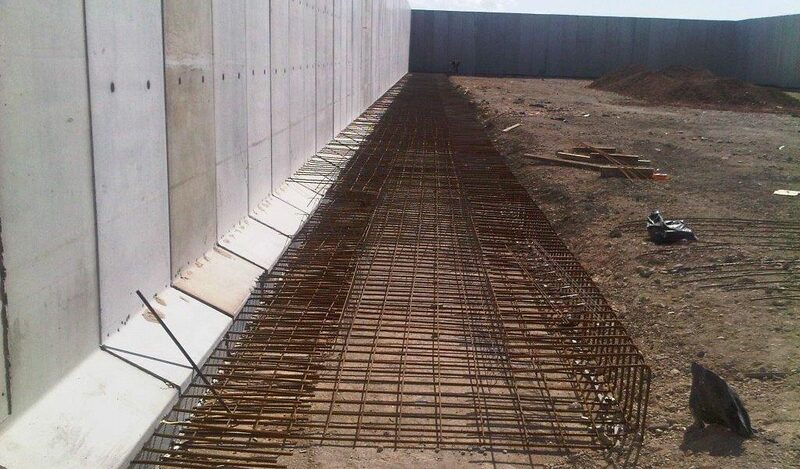 Precast retaining wall with internal reinforcing system. 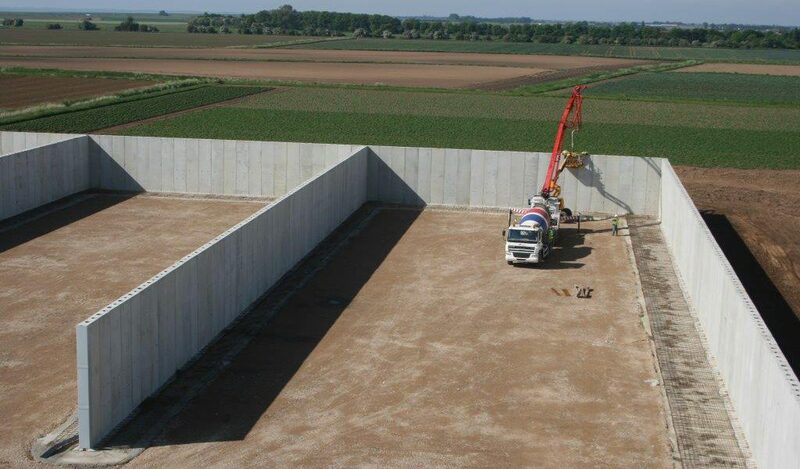 Poundfield's unique Shuttabloc™ concrete retaining wall system has been designed to provide a faster, more economical alternative to casting in situ. 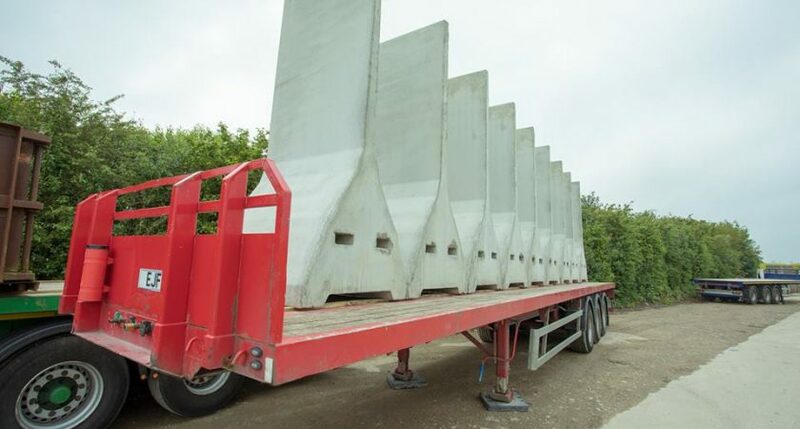 Whilst traditional precast concrete units are suitable for retaining bulk materials in many circumstances, some situations require a higher specification – this is where the Shuttabloc™ comes into its own. 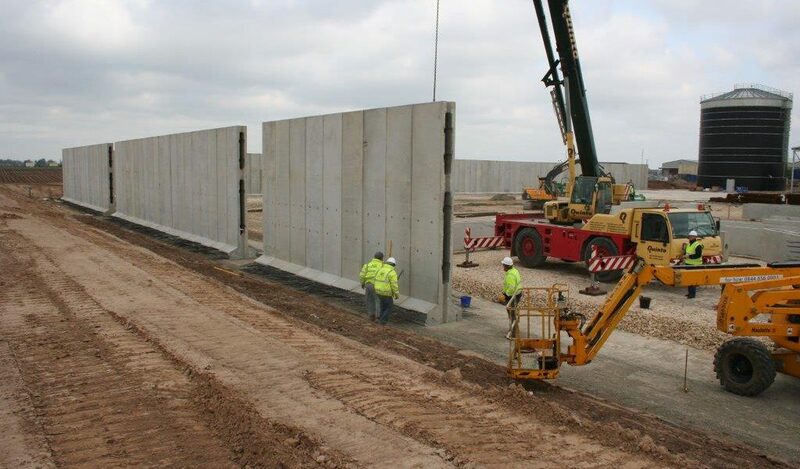 The Shuttabloc™ reinforced precast concrete wall system is designed to withstand significant impact from loading plant or to retain high loads. 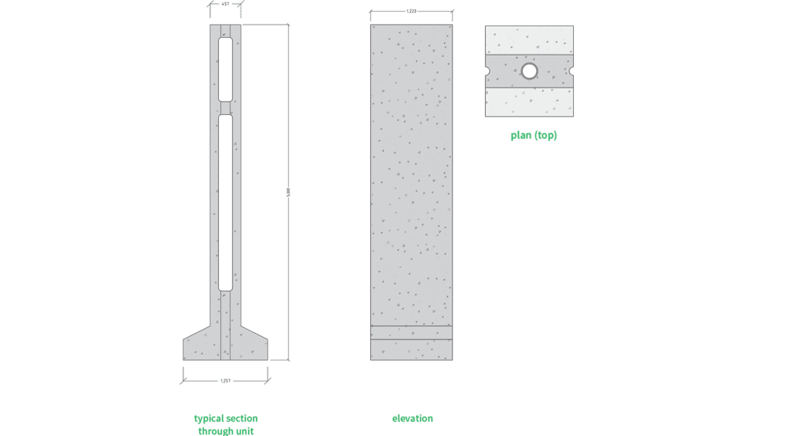 It provides a faster, more economical alternative to casting in situ. 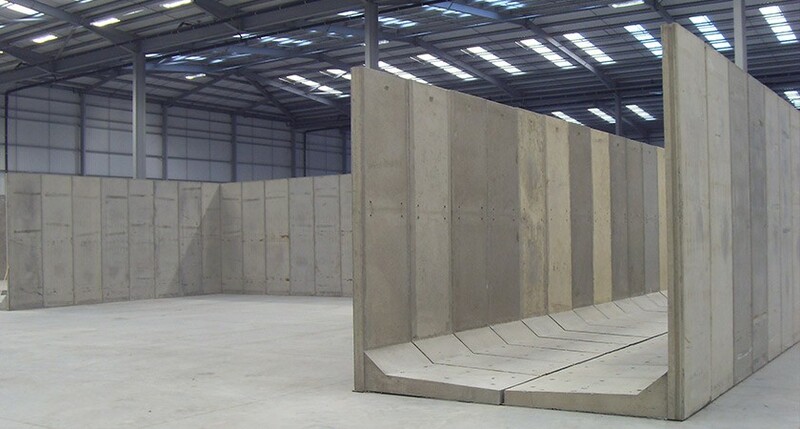 No on-site formwork, faster installation and a factory controlled finish results in a product that is flexible, cost-effective and designed to exactly the same properties as an in situ wall. 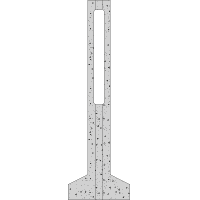 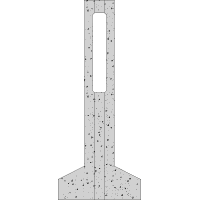 The hollow cores of the precast concrete units are pumped full of concrete once in place resulting in a solid push wall and can be designed and manufactured in a variety of heights (from 3m to 6m tall) and lengths tailored to suit your needs. 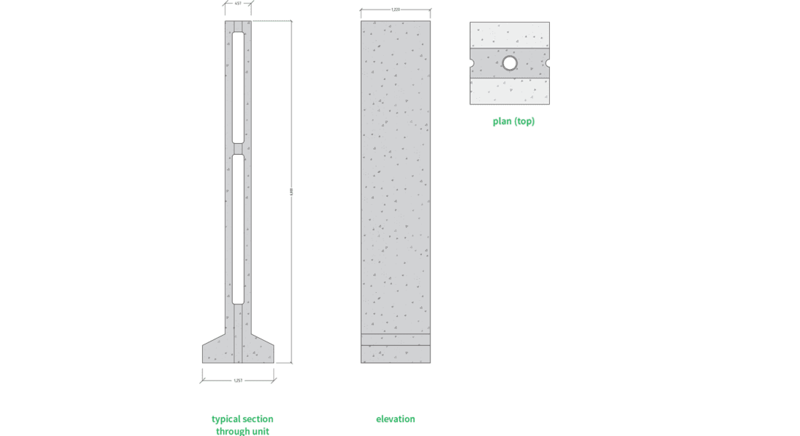 We can also supply a range of accessories to be used in conjunction with your wall to maximise its uses: Corner units to achieve a gap-free wall, T-junctions to create bays, and end covers to seal the wall units and finish off the ends. 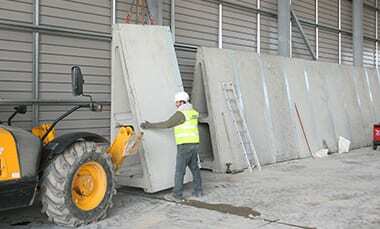 ‘These products are manufactured, distributed and installed under license by Tarmac Trading Limited. 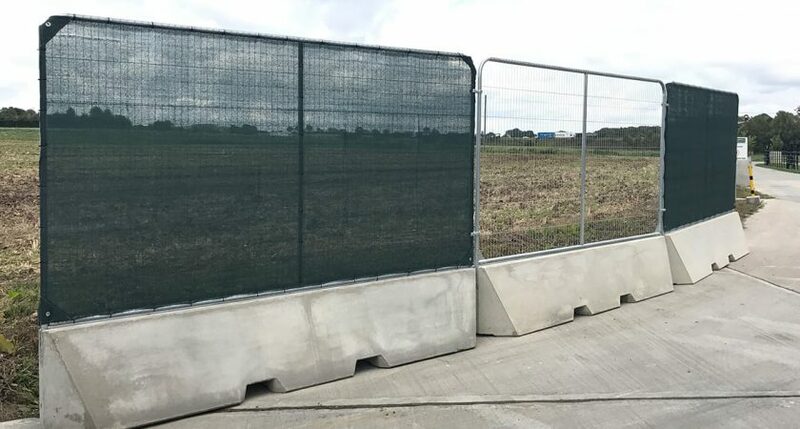 The partnership entered into with Tarmac is an important next step in the development of Poundfield products, marrying scale, capability and client base with innovative product design. 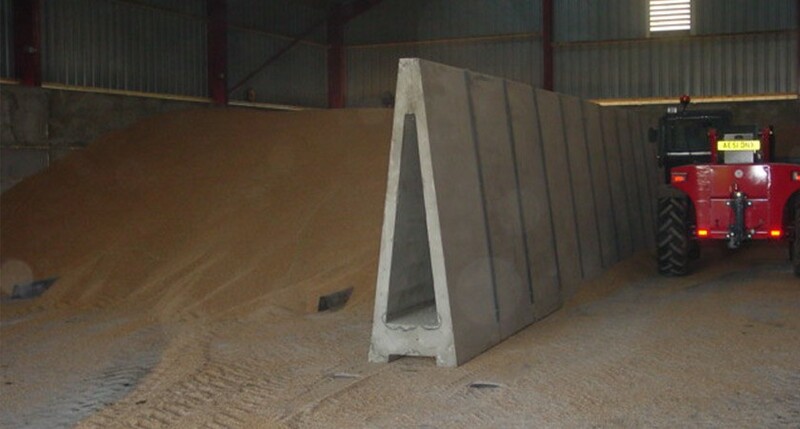 Tarmac will lead the commercialisation, production and installation of the Shuttabloc™ system with initial technical and advisory support from SigmaRoc and its subsidiary Poundfield. 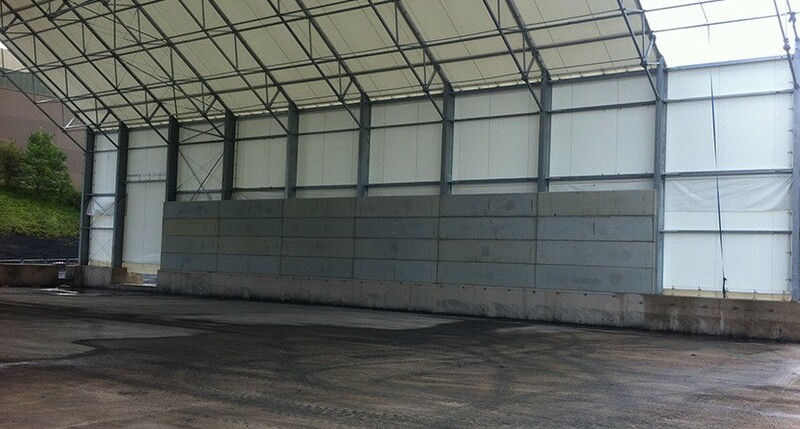 "After the success of our first project using Poundfield’s Shuttabloc at Wrangle, we were keen to repeat it at our second site and once again the installation has gone well"
"Poundfield’s new Shuttabloc system played a part in reducing the build time for the facility in comparison to traditional casting on site. 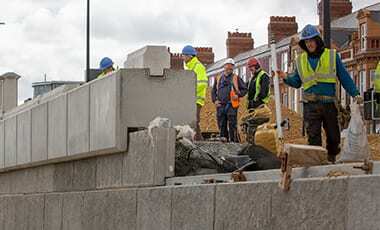 The precast solution enabled works to carry on throughout the winter when an on site pour would have been severely disrupted. 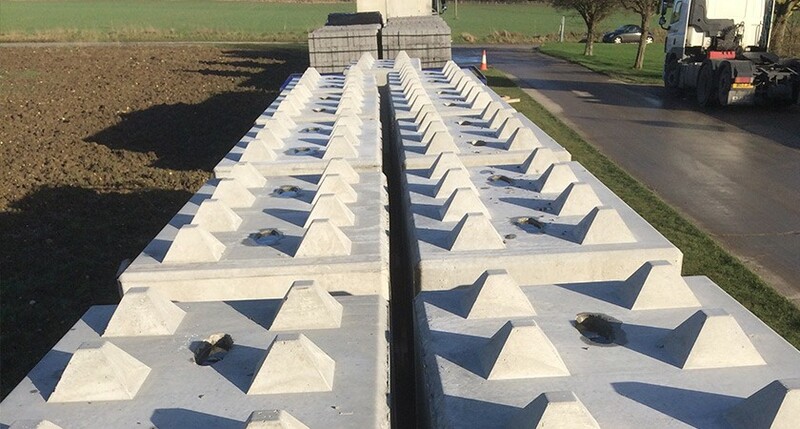 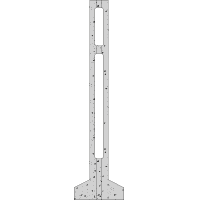 We have been impressed by the speed and quality of the Shuttabloc system, and will be looking to work with Poundfield in the future"
Shuttabloc™ units are cast into the ground slab using reinforcing bars cast into the base of the unit. 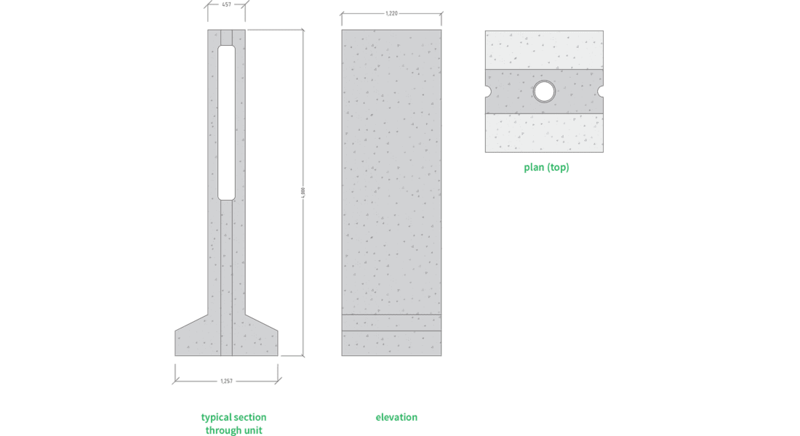 Shuttabloc™ is designed for severe loads. 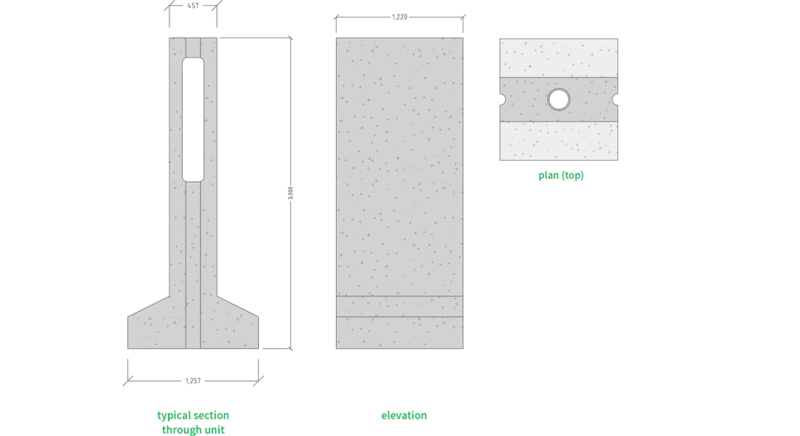 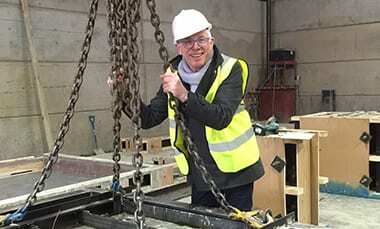 All enquiries will be referred to our engineers for individual specifications.